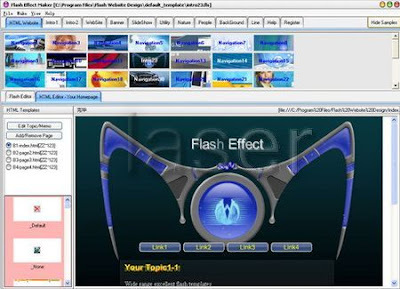 Wide range templates to create flash websites, intros, banners, ads … Flash Website Design is the great Flash HTML tool to help web master design animated Flash websites, intros, Flash banners, Flash ads. With Flash Website Design you can create your website within 5 mins and without any skill. The Flash Website Design enables you to create simple as well as complex Flash animations, where by you can combine different fonts and effects within a single Flash animation. Flash Website Design is very user-friendly, wide range effect templates ready for use, and you don’t need any Flash/HTML or programming skills to use it.